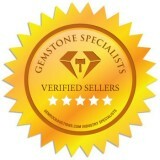 There are so many different gemstone colors to pick from it can sometimes be overwhelming. 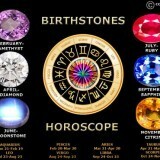 When shopping for gemstones some people know exactly what type of gemstone they are looking for. 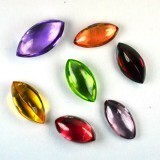 However sometimes you might just want to find a gemstone that a certain color. 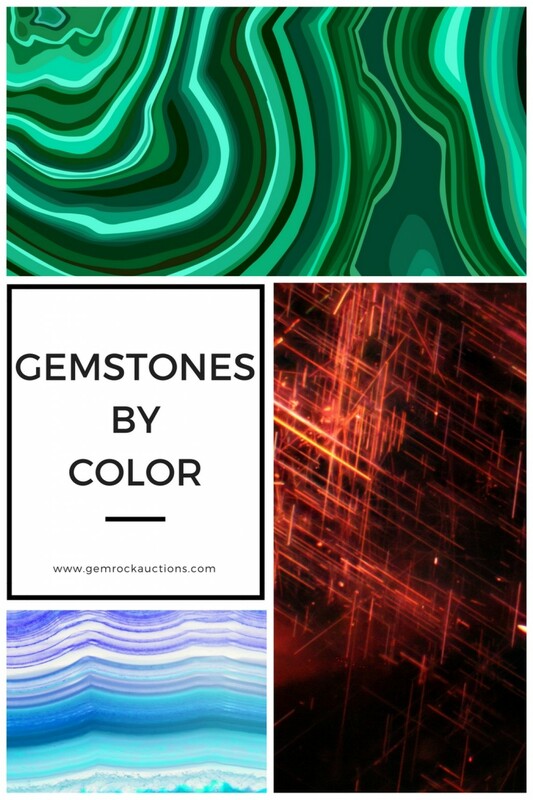 There are several main colors that gemstone typically come in and we will be exploring those in this article. 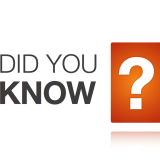 Gemstones that possess a red hue are as follows: Carnelian, Coral, Ruby, Star Garnet, Andesine Labradorite, Fire Opal, Spinel, Pyrope Garnet, Tourmaline, Rhodolite Garnet, Zircon, Star Ruby, and Rubellite Tourmaline. Carnelian - Carnelian is opaque in appearance, smooth and rounded, and ranges in price from $6 to $60. It’s a redish-orange color and can appear darker or lighter, making it sometimes look brown, red, yellow, or orange. Coral - Coral varies in color from a salmon-pink color to orange to red. It can be extremely rare and valuable. Ruby- Ruby’s range in color from a light magenta to a dark magenta to a deep, rich red. They range in price from $25 to upwards of $5000. Star Garnet - Star Garnet is a smooth, opaque gemstone with a shimmer to its dark color, giving it the look of a night sky. It ranges in color from dark red to brown to a deep black. The price of Star Garnet ranges from $70 to around $500. Fire Opal - Fire Opal varies in color from a vibrant, light yellow-orange color to a bright orange or red to a deep orange that can sometimes look brown. It also ranges between opaque and more translucent. Prices range between around $18 and around $470. Spinel - Spinel, like fool’s gold with gold, was often confused for ruby for centuries. Due to this, red spinel is rarer than ruby but is not worth as much. That being said, it’s hardness makes it perfect for durable jewelry and a cheaper substitute for ruby or sapphire. Pyrope Garnet - Pyrope Garnet ranges in color from a deep orange, almost brown to a deep, rich red. It ranges in price from almost $8 to $185. Due to its dark color, it ranges in it’s degree of translucence. 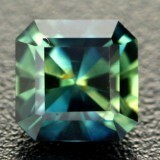 Tourmaline - This gemstone has a myriad of color options and sometimes just a myriad of colors in one stone. Its color range from colorless to black, including pastels. This makes it extremely versatile. It can cost up to $600. 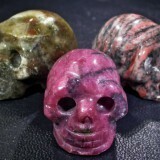 Rhodolite Garnet - Rhodolite Garnet ranges from purple to red in color and is priced as low as $15 and as high as $200. It is translucent. Zircon - Zircon ranges in color from orange to brown to red, sometimes it can even look pink, and is often cut like rubies but sometimes is smooth like Star Garnet or Carnelion. It ranges in price from $12 to $440. Orange gemstones include the following: Andesine, Hessonite Garnet, Sphalerite, Calcite, Imperial Topaz, Sapphire, Citrine, Moonstone, Star Moonstone, Citrine Geode, and Spessartite Garnet. Andesine - is an opaque gemstone with colors ranging from brown to a salmon-pink color to orange to red. Price ranges from $11 to around $100. Hessonite Garnet - Hessonite Garnet is smooth and round and ranges in color from a yellow-orange to a bright orange to a brownish-amber color. It ranges in price from $13 to almost $4,000. Sphalerite - Sphalerite ranges in color from yellow to yellow-orange, the darker colors sometimes looking closer to brown. The price of Sphalerite ranges between $20 and almost $1,000. Sapphire - Sapphire can range in color from a pale yellow to a bright orange to a vibrant red. It is highly valued. Prices range from $20 to just over $2,250. Citrine - Citrine ranges from an off-white color to a vibrant yellow. It’s translucent, and the price ranges from just slightly over $4 to just barely under $500. Moonstone - Moonstone is opaque and ranges in color from a beige to a pinkish-orange. It is smooth, and the price varies from just barely over $3 to only $65. Gemstones that appear yellow or gold in color are Agate, Imperial Topaz, Sphalerite, Beryl, Mali Garnet, Spodumene, Chrysoberyl, Orthoclase, Star Lemon Quartz, Citrine, Quartz, Tourmaline, Citrine Geode, Rainbow Pyrite, Topaz, Diamond, Sapphire, Zircon, and Sphene. Agate - Agate ranges from a greenish-white to an opaque green. It’s smooth and opaque (the white seeming cloudy-looking). The price varies greatly from as low as $2 to as high as almost $200. Imperial Topaz - Imperial topaz ranges from a pale yellow to light orange. It is highly prized and valuable. The pricing starts at $1,260 and goes as high as $5,500. Beryl - Beryl comes in various shades of yellow from a pale, almost clear yellow to a golden color. 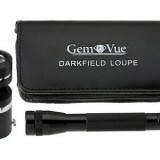 It is translucent and ranges from $23 to just under $128. Sapphire - Sapphire ranges in color from a pale yellow to a bright orange to a vibrant red. It is highly valued. Prices range from $20 to just over $2,250. Green gemstones include the following: Actinolite Cat’s Eye, Alexandrite, Amazonite, Ammolite, Apatite, Aquamarine, Aventurine, Bloodstone, Cat’s Eye Apatite, Cat’s Eye Aquamarine, Cat’s Eye Chrysoberyl, Demantoid Garnet, Emerald, Jadeite, Opal, Peridot, and Jade Omphacite. Aquamarine - Aquamarine ranges in color from a clear with a slightly bluish tint to a light green-teal color. It ranges in price from just under $18 to close to $13,000. Emerald - Emerald ranges widely from a light green with a slight bluish tint to a deep, rich green and from opaque to translucent. It can be found for as a low $99 and as high as $27,500. Opal - Opal ranges in color from white with an appearance of multicolor in the light to fire opals which are a vibrant orange or scarlet. All opals are opaque in appearance. They can be found for as low as $7 and as high as $988. Gemstones with a blue hue include the following: Azurite, AzurityDrusy, Chalcedony, Chrisocolla, Diamond, Dumortierite Quartz, Fluorite, Gem Silica, Hawk’s Eye, Hemimorphite, Larimar, Spinel, Sodalite, Rainbow Moonstone, Tanzanite, Topaz, and Turquoise. Sapphire - The most fmaous blue gemstone. Ranges from a light blue through to an intense royal blue color. Turquoise - The beautiful sky colored gem is a popular gemstone found in silver Jewelry. Coral - Coral varies in color from a salmon-pink color to orange to red. It is extremely rare and valuable. Pearl - Rhodolite Garnet Rhodolite Garnet ranges from purple to red in color and is priced as low as $15 and as high as $200. It is translucent. Rose Quartz - Quartz comes in a remarkable amount of colors and styles. The price varies tremendously as well. Spinel - The hot pink Spinel from Mahenge, Tanzania is one of the most intense pink gemstones available. Gemstones with a white color are as follows: Agate, Cat’s Eye Quartz, Coral, Danburite, Diamond, Dendritic Chalcedony, Howlite, Jade, Goshenite, Moonstone, Opal, Quartz, Sapphire, and Sodalite. Quartz - Quartz comes in a remarkable amount of colors and styles. The price varies tremendously as well. Brown-colored gemstones include Andalusite, Axinite, Boulder Opal, Chocolate Opal, Enstatite, Diamond, Fire Agate, Obsidian, Sillimanite, Smoky Quartz, Tiger’s Eye, and Tiger’s Eye Matrix. Chocolate Opal - Opal ranges in color from white with an appearance of multicolor in the light to fire opals which are a vibrant orange or scarlet. All opals are opaque in appearance. They can be found for as low as $7 and as high as $988. Smoky Quartz - Quartz comes in a remarkable amount of colors and styles. The price varies tremendously as well. Grey gemstones are Fluorite, Hematite, Moonstone, Mother of Pearl, Pearl, Spinel, and Star Moonstone. Gemstones that can take on a black hue are Cat’s Eye Scapolite, Diamond, Jade, Melanite, Jet, Obsidian, Onyx, Pearl, Rutile Quartz, Star Diopside, Star Garnet, and Star Sapphire. Rutile Quartz - Quartz comes in a remarkable amount of colors and styles. The price varies tremendously as well. 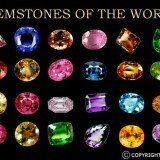 There are several gemstones that show more than one color. Those gemstones are as follows: Ammolite, Fossil Coral, Jasper, Hawk’s Eye, Tiger’s Eye, Pietersite, Charoite, Labradorite, Scapolite, Rainbow Pyrite, Rhodochrosite, Ruby Zoisite, Sugilite, Andalusite, Opal, Mystic Topaz, and Mystic Quartz. Mystic Quartz - Quartz comes in a remarkable amount of colors and styles, sometimes multicolored. The price varies tremendously as well.